Samsung finally covered the gap of creating high-end tablets by the launch of Samsung Galaxy Tab S series. And this series is the direct rival of the iPad Series and people are actually preferring the Tab S over the iPad and Microsoft tablets the reason is its slim design and amazing performance. And no doubt, Samsung experimented and learnt lots of things from the Tab S and it would surely affect the next launching Samsung Galaxy Tab 5, it hints towards the new design, better performance and compactness. In the Samsung Tab S, if we remove the protective cover from the tablet, it is very light (465 grams) we find a design that follows the lines of the Samsung Galaxy S5 (many rumours pointed to the designer of the device had been fired from Samsung and all ranges are following their designs) has the center button almost patented by Samsung (with fingerprint sensor) button multitasking and reverse. It has a 2.1 megapixel camera on the top, right next to the logo of the Korean company party. If we turn, we can see the design of the new tablet is really like the Samsung Galaxy S5 but it is bigger of course, in about ten inches and eight-megapixel camera with autofocus and depends on the color that would please you with the tablet, available in gold, black and white. If you look in detail, we can see that the bottom, close to the edge of each side, there are two holes to place the official cover Samsung and to be properly supported tablet to play with different positions to work more comfortable with it (It’s a little scary when we will merge the tablet with the case and when we will separate, do not be afraid if you toss as it is very strong and quiet.) The new design is liked by the users and praised but our question is, would Samsung Galaxy Tab 5 follow the path of Tab S series. 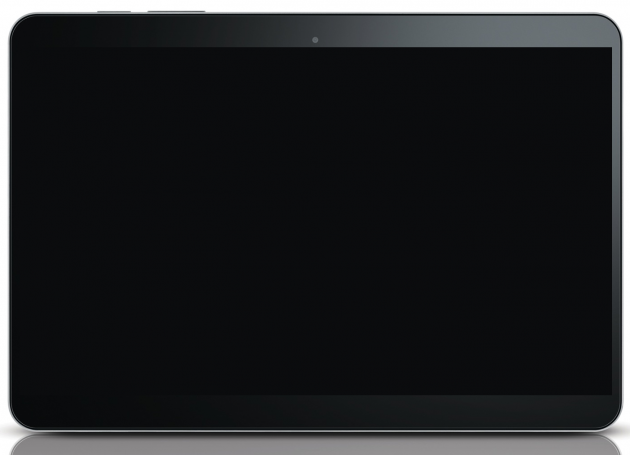 The frames of the Samsung Galaxy Tab S are typical of Samsung and we can find the speakers in the tablet, which sound great, really, the headphone jack on the speakers, at the top we find the button on and off and volume of the tablet and also with the infrared sensor to emulate the TV remote on the other side we find another speaker, space for microSD card and microUSB connector. But you can’t expect the Samsung Galaxy Tab 5 speaker to work at that level. Samsung recall many connector pins that always put at the bottom of the tablet and incorporated as the microUSB to design a thinner tablet and place it on the side, gains much the tablet, design, ergonomics and finish. And this is the reason, Samsung manages to create the tablet so compact and if this design would appear in the Galaxy Tab 5 then Tab 5 would be far better than the present generation Samsung Galaxy Tab 4, so let’s wait for the launch.